This week we held our Camino Design & Reveal Session with our Divine-by-Design Travel Advisory Board and the room was buzzing with enthusiasm with what we have planned for our upcoming journey. In this age of constant hyper connectivity to the digital world, there seems to be a lack of connection to something introspective, sacred and spiritual. Opportunities to stop, breathe and look deep inside ourselves are few and far between in this world of instant gratification, text messages, Facebook likes and digital connection. It should come as no surprise then, that spiritual travel destinations have grown in popularity since the introduction of cellphones, email and all the forces that keep us constantly plugged in, yet oddly disconnected. May 6 – 14, 2019, we will take you on an incredible journey along the renowned Camino de Santiago, which is sure to leave your heart open and your spirit full. The Camino has been traversed for thousands of years, offering pilgrims an opportunity to reflect, transcend and rejuvenate their spirits. During the Middle Ages, millions of people made their way along the path (or way) to Santiago de Compostela. 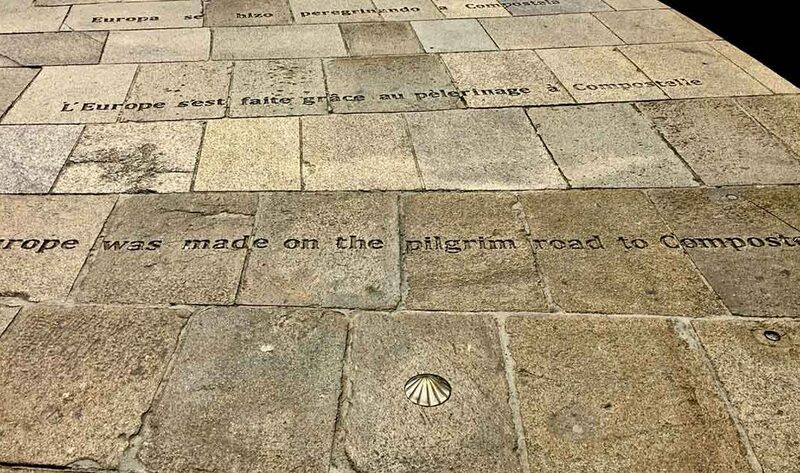 The route was nearly lost to history until authors began to highlight the Camino in their literary works a couple of decades ago, sparking interest in the Camino from abroad. The most famous was a 1987 novel by Paolo Coelho, “The Pilgrimage”. The last 100 km journey along the famous Camino Frances (French Way) will lead us through Spain’s Galician countryside and end at the iconic Cathedral of Santiago de Compostela where the Apostle St. James is said to be interred. 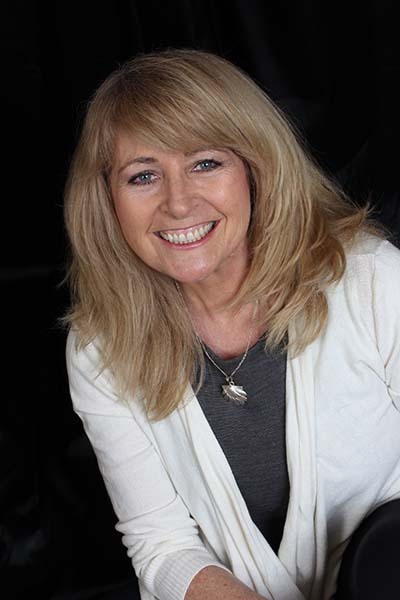 Sue Kenney, bestselling author, inspirational speaker, coach & Dragon’s Den Barefooter will be joining us on our Divine pilgrimage. Sue herself has walked all 800 km of the French Way and has also walked many of the other Caminos a multitude of times. 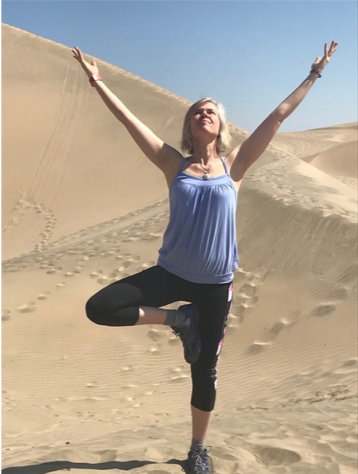 Sue will be an integral part of our Camino experience…speaking at one of our pre-trip events, coaching our travellers to help prepare us physically, mentally and spiritually for this mystical journey. 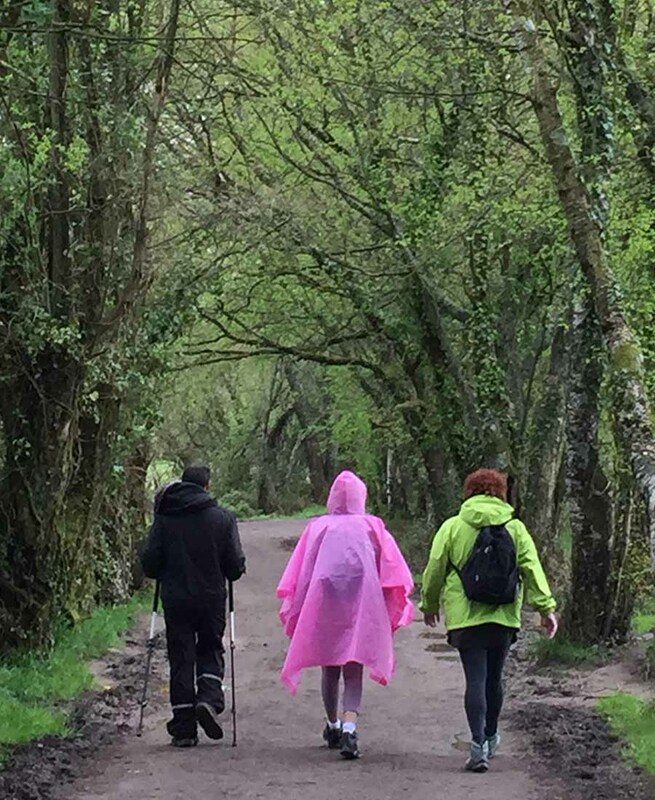 And while on site will lead us in sessions on Journaling and Barefooting (walking the Camino Barefoot allows the electromagnetic energy of the earth to ground and heal you). At the beginning of our journey, you will receive your Camino Passport to have stamped along the way. We’ll begin every morning with a yoga stretch to awaken our physical body and connect with our spirit before embarking on each leg of our journey. We will dine, drink and picnic along the way as we take in the breathtaking Spanish landscape, charming villages and quaint local churches. We will also have a host of surprises woven into the fabric of the adventure. This journey is not only one of travel, but one of introspection. Many have described their travels along El Camino as an intensely personal and transformational experience, both spiritually and physically. 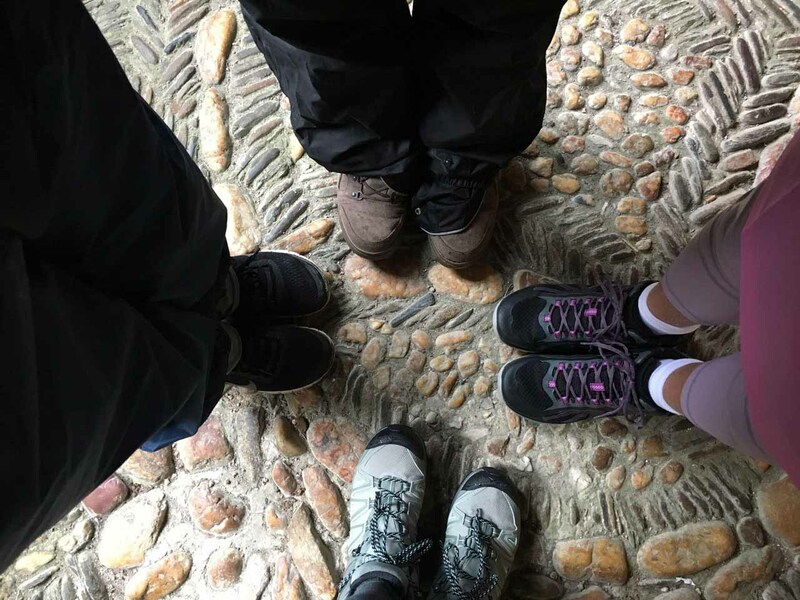 We would be thrilled to have you join us for this experience of a lifetime along the Camino de Santiago May 6 – 14, 2019. We will be going live with our registration within the upcoming weeks…Stay tuned for all the Divine Details!